Mom: Your Aunt is coming to stay with us for two weeks! Aren’t you excited? Me: So, so excited. In fact, let me go find a container for my joy. I’ve been saying it for years. Now I finally I found it. 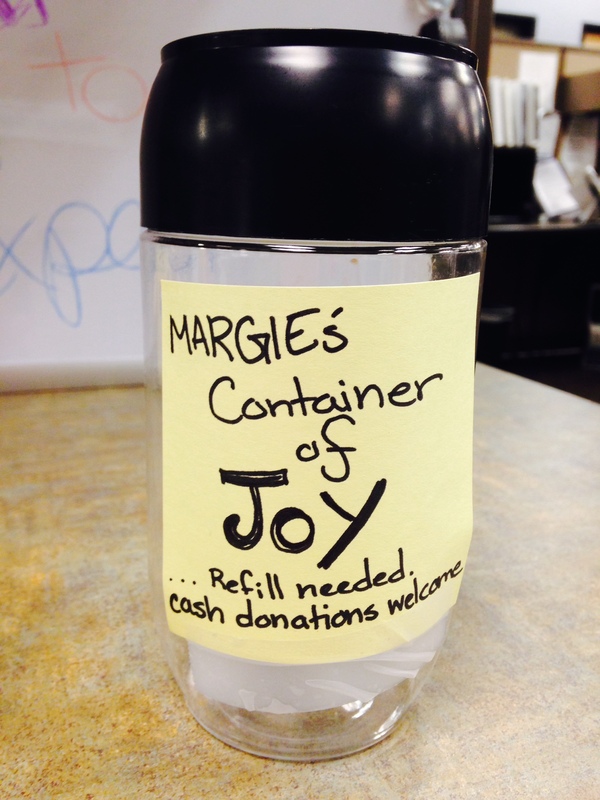 I found a container for my Joy. Unfortunately, it remains empty, like my soul. It sits on my desk at work, hoping for a donation. Damn. maybe I should have put “Chocolate donations welcome”. I clearly didn’t think this through very well.